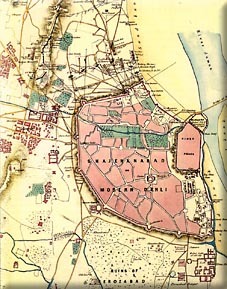 Although the first real revolt took place in Meerut, after the shots had been fired against the British officers there, the mutineers quickly headed towards the ancient capital of Mughal India, Delhi. On the one hand, they were hoping to avoid a British counterattack to Meerut, but also they hoped to gain the blessing and political backing of the last Mughal emperor, Bahadur Shah. The mutineers reached Delhi on May 11th and were promptly joined by the sepoy garrison and sympathisers in the city itself. Many of the resident British army officers and civilians were hunted down and murdered on the streets of the city. A small group of officers and men managed to stop the city arsenal falling into mutineer hands, but only by blowing it sky high. Several hundred mutineers blew up with the store, but some of the defenders also shared the grim fate. A telegraph station managed to tap out the message 'the sepoys have come in from Meerut... we must shut up'. It was hoped that relief would be on its way soon. Meanwhile, Bahadur Shah II vacillated before declaring himself as the head of the mutiny and the Emperor of Hindustan. He did not intervene when a group of Europeans who had sought sanctuary in his palace were butchered to death. 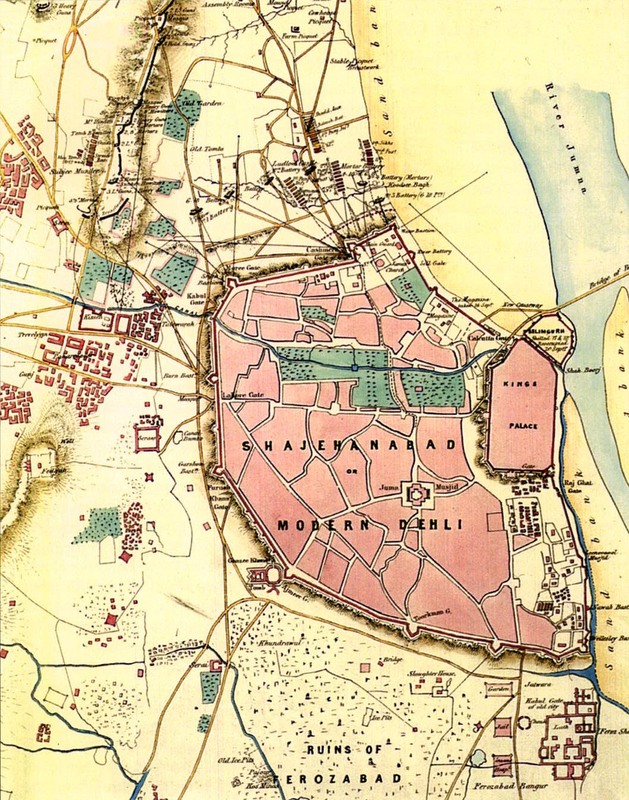 A steady stream of mutineers from across Northern India headed to the impressive walled city of Delhi. It seemed as if they had indeed caught the East India Company by surprise - there was no sign of a relief force. And even when one did arrive, it was far smaller than any had dared to hope for. The British high command tried to assemble a relief force from Ambala. However, the 69 year old Commander in Chief, General Anson, was far more ponderous and deliberate than many would have liked to have seen. He finally managed to asemble a force including the 9th Lancers, the 75th Foot, Royal Horse Artillery and several Native regiments, one of which mutinied and another of which had to be disarmed. General Anson personally led the column to Delhi, but tragedy struck as he was struck down by cholera. His successor, General Barnard would also be struck down by the disease just a few weeks later. 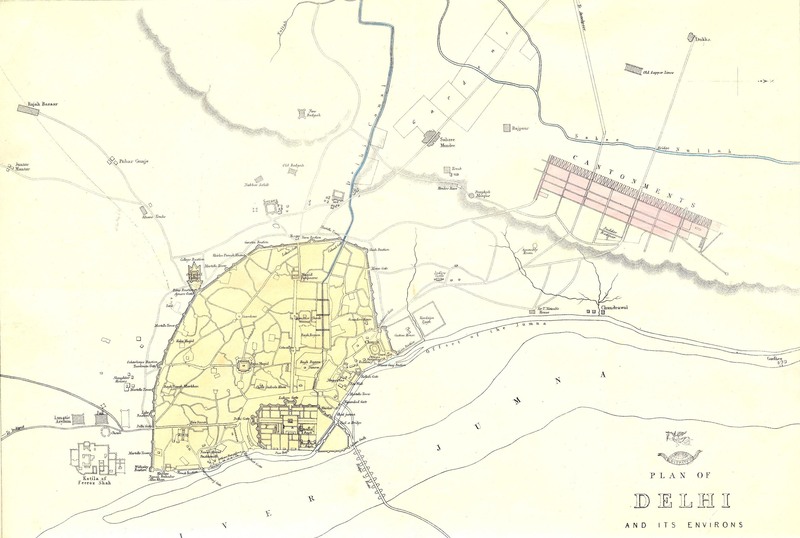 Before he succumbed though, General Barnard was able to score a first significant victory over the mutineers when he met a force of 30,000 mutineers and 30 guns at Badli-ki-Serai on the road to Delhi. This allowed them to march towards the city, but the sheer size of the city meant that the little relief force could do little but occupy a ridge overlooking the Northern wall and await further reinforcements themselves. The ridge was to become a real baptism of fire as wave after wave of mutineers would advance towards the ridge in an attempt to dislodge the small exposed force. Keeping the rebels at bay cost many lives. Particularly heavy losses were suffered by the Gurkhas who were given the task of defending a mansion called Hindu Rao's house. It was on the right of the British line nearest to the Northern gate. nearly every man...languishing from that terrible disease cholera. It required strong nerves to withstand the sickening sights of these infirmaries. The patients constantly retching...The flies, almost as innumerable as the sand on the seashore, alighted on your face and head, and crawled down your back, throught he openings of the shirt collar and occasionally flew even into your throat. The replacement for Sir Henry Barnard, General Reed, was himself invalided out of command and replaced by a fourth commander: General Archdale Wilson. As the quantity of mutineers seemed not to diminish, indeed it seemed to constantly swell, the besiegers became besieged themselves. The only advantage they held was a unified command structure with strict discipline. The mutineers held the advantage numerically, but were uncoordinated and once they were ensconced behind the safety of the walls were reluctant to venture out. Attacks would be launched by newly arrived mutineers who often had to earn the right to enter the city walls by making an assault on the British on the ridge. The British were hanging on for grim life, but did not have to withstand an overwhelming, coordinated assault. When Brigadier-General John Nicholson arrived on the ridge on August 7th, his mere presence raised the morale of the British force there. His reputation preceded him and a force of 4,000 highly trained troops in a 'movable column' was fast following behind him. This was the same force that he had used decisively in the North-West region to disarm mutinous sepoy regiments and ensure that the mutiny did not spread in any part of the country that he was in charge. A man of action, the soldiers on the ridge braced themselves for decisive action. His reverential nickname of Nikalseyn had been bestowed by the Sikhs of the Punjab who revered his reserved, silent yet forceful manner. They were joined by Pathans, Afghans and Multanis who were sure of his leadership and keen to take part in the destruction of their historical foes the Indians. As soon as Nicholson arrived he started to prepare the forces for action. He visited picqets, checked uniforms and equipment, gathered intelligence and generally revived a flagging and demoralised force. He would soon show that he meant business when he marched a force out of the camp to attack a strong force of mutineers threatening to capture the British Siege train en route to the ridge. At Najafgarh he gave the time-honoured order 'Line advance!' and led his men into a fierce hand to hand combat with the rebels. Hundreds of sepoys would die and they would be put to flight. This was a small victory and it saved the siege train but it also put new heart into the tired troops and prepared them for greater things to come. The arrival of the siege guns would at last give the British an opportunity to outgun the mutineers encased behind their strong defensive walls. Nicholson was quick to show his impatience to lead an assault on the city defences. 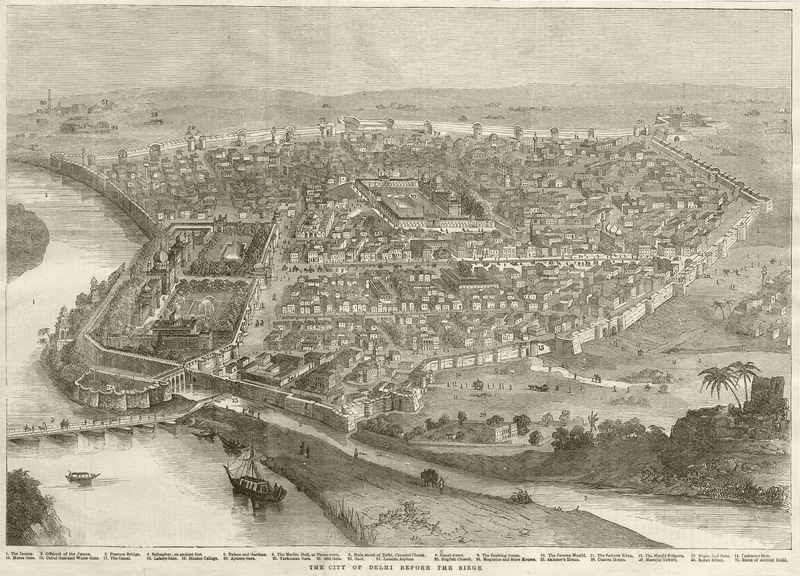 The fact that the city was huge and that the mutineers vastly outnumbered the British did not deter him. He was concerned that General Wilson was overly cautious and even suggested that he replace him. However, Wilson bowed to his suggested assault and preparations continued apace. 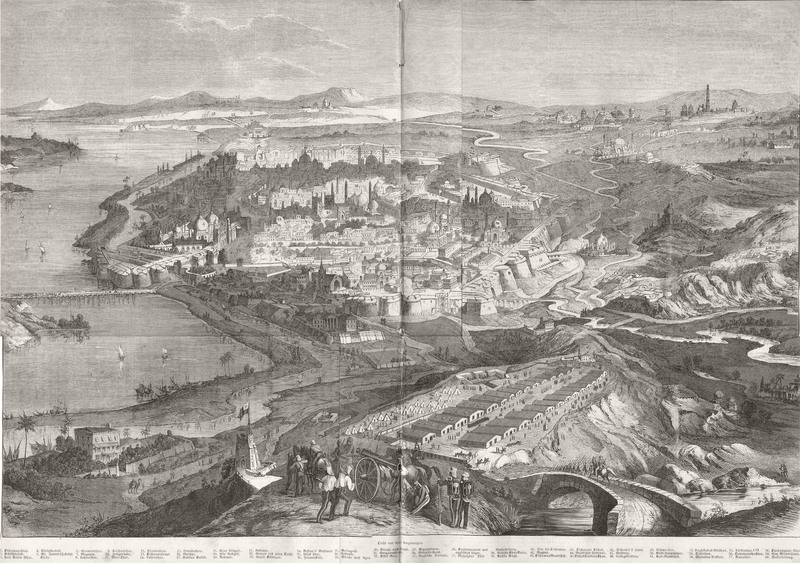 By September 12th heavy guns were pounding the northern walls and bastions of the city. After three days of bombardment, Nicholson led the column which entered through a breach in the Kashmir Gate bastion. Meanwhile, the massive Kashmir Gae had been blown in by the Royal Engineers - most of whom were shot dead whilst attempting to place the charge. Colonel Campbell with the 52nd Foot led a column through the gate. The size of the city quickly overwhelmed the attackers as they realised that they may well have bitten off more than they could chew. Street fighting tied down the attackers as they became separated and isolated from one another. Nicholson himself was shot in the back as he advanced down narrow streets at the head of a force to try and open the Lahore Gate. He was carried to safety but would die soon after - although not before hearing the news that he had wanted to hear. The British forces had persevered against the disillusioned and disparate mutineer forces. 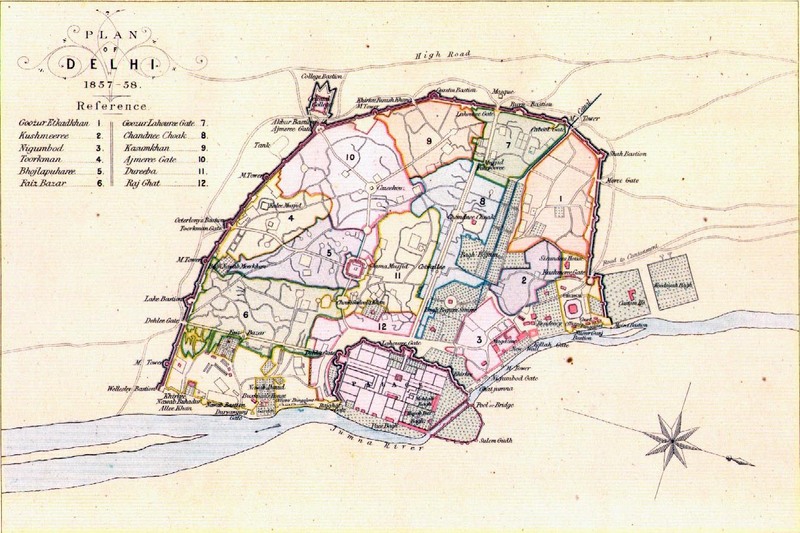 The city had been carried - looting had been prohibited, but prize merchants were hard at work - much of the wealth of the city had already been claimed by mutineers, but significant amounts of plunder were recovered to make most of the attackers fairly wealthy. After the capture of Delhi, General Wilson had allowed William Hodson to find, capture of kill the old King of Delhi, Bahadur Shah. Taking fifty of his horsemen he rode out to Hamayun's tomb, about six miles from the city, where the emperor had taken refuge with his family and court. On the promise that his life should be spared, Bahadur Shah surrendered and was led back to captivity in his palace of the Red Fort. His action was much criticised and according to Lord Roberts 'cast a blot on his reputation.' However, his actions all but sealed the end to any political coordination and indeed justification for the mutiny. There would still be pockets of mutineers who had to be dealt with and some more would yet mutiny, but it was now a scattered collection of diffuse mutineers who had little in common but their hatred for the British. It would now just be a matter of time before the remaining areas were brought back under British control.